Professor Derek Pletcher is Emeritus Professor within Chemistry at the University of Southampton. Derek Pletcher was born in North London and studied Chemistry at the University of Sheffield, receiving a BSc in 1964 and a PhD in 1967. After graduation, he immediately joined the Electrochemistry Group in the School of Chemistry in Southampton and has remained there since. He was promoted to a Chair in 1993 and became a Professor Emeritus in October 2008. His research interests extend from fundamental electrochemistry, through electrochemical engineering to the industrial applications of electrolysis (electrosynthesis, gas sensors, fuel cells, batteries, metal deposition and effluent treatment). He is the author of ~ 340 technical papers in International Journals and ~ 30 reviews and has supervised the training of > 90 postgraduate students. He has presented papers at International Meetings throughout Europe, North and South America, Japan, South Africa etc. In 2010, Derek was awarded the prestigious Vittorio de Nora Medal by the US Electrochemical Society for his work related to the applications of electrochemistry. Earlier he had been elected to a Fellowship of the Electrochemical Society (2005) and awarded their Henry Linford Medal for Teaching Excellence in Electrochemistry (2006). Derek was also the recipient of the 2013 Castner Medal awarded by the Society for Chemical Industry. He is a past Editor of the Journal of Applied Electrochemistry (1980 – 85) and presently serves on the Editorial Boards of Electrochimica Acta and Electrochemical Communications. He has been an active Consultant to Companies throughout Europe and N. America who are developing electrochemical technology. He has also been responsible for the development of short courses for more mature scientists/engineers including the Southampton Summerschool, Instrumental Methods in Electrochemistry, attended by > 1000 scientists/engineers since its initiation in 1969. Courses on aspects of fundamental and applied electrochemistry have been mounted in North America and Europe as well as Venezuela, Pakistan and South Africa as well as within Companies. 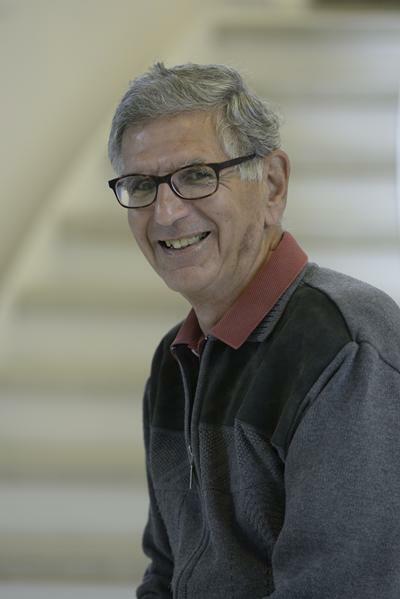 His books, A First Course in Electrode Processes (1991,2009 and 2013) and Industrial Electrochemistry (1984 and 1990) have introduced many scientists and engineers to electrochemistry and its applications while Instrumental Methods in Electrochemistry (1984 and later editions) has become a reference text for voltammetry and related techniques. He is also the author of A First Couse in Ion Permeable Membranes (1997) and Editor to a number of books. Pletcher, D., Sidorin, D., & Hedges, B. (2007). Acetate-enhanced corrosion of carbon steel - Further factors in oilfield environments. National Association of Corrosion Engineers International: Corrosion Journal, 63(3), 285-294. Garsany, Y., Pletcher, D., Sidorin, D., & Hedges, W. M. (2004). Quantifying the acetate-enhanced corrosion of carbon steel in oilfield brines. National Association of Corrosion Engineers International: Corrosion Journal, 60(12), 1155-1167. Pletcher, D., Tian, Z. Q., & Williams, D. E. (Eds.) (2014). Developments in electrochemistry – science inspired by Martin Fleischmann. Chichester, GB: Wiley. Pletcher, D. (2013). A First Course in Electrode Processes, Chinese Edition. Zurich, CH: Chemical Industry Press (Beijing). Pletcher, D. (2009). A first course in electrode processes. London, GB: Royal Society of Chemistry. Pletcher, D., Peter, L., Peat, R., Robinson, J., & Greef, R. (2001). Instrumental methods in electrochemistry. Cambridge, GB: Woodhead Publishing. Pletcher, D., & Davis, T. A. (1997). A first course in ion permeable membranes. The Electrochemical Consultancy. Pletcher, D., & Milhano, C. (2009). The electrochemistry and electrochemical technology of nitrate. In R. E. White (Ed. ), Modern Aspects of Electrochemistry 45 (pp. 1-55). (Modern Aspects of Electrochemistry; No. 45). Berlin, DE: Springer. Pletcher, D. (2008). Bioelectrosynthesis - electrolysis and electrodialysis. In P. N. Bartlett (Ed. ), Bioelectrochemistry: Fundamentals, Experimental Techniques and Applications (pp. 327-355). Chichester, GB: John Wiley. Pletcher, D., Sidorin, D., & Hedges, W. M. (2005). A Comparison of the Corrosion of Carbon and 13 % Chromium Steels in Oilfield Brines Containing Acetate. 1-9. Paper presented at Corrosion 2005, . Pletcher, D. (2005). Mediated Electrosynthesis. In J. Lessard, P. Hapiot, & I. Nishiguchi (Eds. ), Analytical Mechanistic and Synthetic Organic Electrochemistry - 6th International M. Baizer Award Symposium in Honor of Dennis H. Evans and Masao Tokuda (pp. 133-137). (Electrochemical Society Proceedings; Vol. PV2004 – 10). USA: The Electrochemical Society. Garsany, Y., Pletcher, D., & Hedges, W. M. (2003). The Role of Acetate in CO2 Corrosion of Carbon Steel: Studies Related to Oilfield Conditions. 1-15. Paper presented at NACE Corrosion 2003, . Garsany, Y., Pletcher, D., & Hedges, W. M. (2002). The Role of Acetate in CO2 Corrosion of Carbon Steel: Has the Chemistry Been Forgotten?. 1-16. Paper presented at NACE Corrosion 2002, United States.